Object properties such as identification, dimension, weight, and condition are fundamental building blocks for the smooth automation of material flow. ​SICK Sensor Intelligence has defeated a number of packaging issues with a single sensor unit, the DeltaPac multitask photoelectric sensor. A food product may be recalled for any number of reasons - pieces of plastic in chocolate bars, bacterial contamination of cream cheese, falsely declared ingredients in pasta-based ready meals. As well as damaging the manufacturer’s reputation, these circumstances often come at tremendous expense, with costs rising when the whereabouts of the end products are unknown. Not to mention that time is of the essence when it comes to product recalls. With identification systems and integration technology from SICK, foodstuffs can be identified at any point as they make their way from the producer to the end customer, providing the option of tracing them in real time and at item level, with the click of a mouse should a critical error arise. Barcode scanners in the CLV product families, Lector image-based code readers, ultra-high-frequency RFID systems, and 4Dpro (the auto-ID integration platform from SICK) are all technologies that can be relied upon when setting up track-and-trace solutions within the food industry. Barcodes, 2D codes, or electronic transponders are used to identify objects including individual items, primary and secondary packaging, pallets, trucks, or swap bodies. When it comes to deciding on which technology to use, it is important to take financial factors into account, as well as considering the objects and processes that are involved. For instance, a barcode can be printed onto an egg, while the cartons holding six or ten eggs can be labelled with 2D codes with the best-before date in plain text. A transponder, on the other hand, can be added to shipping cartons, pallets, and other aggregated containers. It is often the case that several of these different forms of labelling will be in place within a single line along the supply chain. This is where the 4Dpro integration platform comes in, as it can be used not only to manage the range of identification technologies that are physically different from one another but also to enter data into databases. These databases will then be ideally interconnected – via standard software. 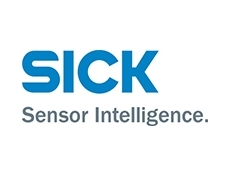 SICK allows producers, contract packagers, and distributors to procure all of the identification and integration technology they need from a single source. What’s more, the technology is perfectly coordinated, boasts high levels of availability at all stages of the logistics chain, and removes the need for interfaces, cutting out any risk. Making every effort to ensure process reliability, hygiene, and quality will minimise the risk of contamination during industrial production, packaging, and distribution processes within the food industry, but it can never rule it out entirely. On this basis, Regulation EC 178/2002 requires manufacturers within the food industry to establish systems that enable traceability of foodstuffs across all stages of production, processing, and distribution. Also, manufacturers have been given responsibility for promptly recalling unsafe products in order to avoid potential health risks. Product recalls have a detrimental effect on a company’s reputation and finances as well as the brand promise for the product in question. They are a sure-fire way to lose consumers’ trust and constitute a major challenge for the entire supply chain, with repercussions for producers, processors, packagers, distributors, freight forwarders, supermarkets, and retailers. All parties have to work closely together if a product recall is to run smoothly. To allow them to assess the causes of a contamination, companies must be able to trace back the trajectory of their products from the producer, through the processing stages, to retailers. This means that products and the containers they come in need to be labelled consistently and identified at every stage of the process that may prove relevant in the event of a recall, with data being entered automatically into interconnected databases. This is the only way to minimise residual health risks for consumers, with a system in place that allows the affected products to be tracked down and removed from circulation as quickly as possible. By fulfilling the legal obligation to trace foodstuffs using the appropriate track-and-trace technology, companies can minimise the negative impact on their image and brand, and limit the financial damage caused by the loss of sales and costs involved in recalling a product. The key point to remember here is that the more information available to the manufacturer about the exact serial numbers, batches, production facilities, or best-before dates affected by a product recall, the easier it will be to retrieve these items or in extreme cases a single item. Through this targeted and proactive approach, there is less chance for a consumer to suffer from any potential health issues caused by the product. It is a question of looking for a needle in a haystack – and being able to find it as quickly as possible. This is all possible thanks to modern track-and-trace solutions featuring state-of-the-art technology, which can be used to narrow products down to those affected and then pinpoint their location within the supply chain. All of the information needed during a product recall can also be retrieved from interconnected databases in real time with more or less the click of a mouse, making reaction times incredibly quick. Information recorded by automated identification systems is fed into the databases. Barcode readers in the various CLV product families from SICK can be used in a broad range of applications within track-and-trace set-ups. They can read compact codes on labels and item packaging as well as barcodes with large module widths, such as those used to label shipping cartons and pallets. Offering a variety of scanning ranges, auto-focus, ambient light immunity, and smart code reconstruction technology, these readers make for versatile and reliable solutions. They can be used to accurately identify barcodes even when faced with varying container sizes, working distances, and lighting conditions, or labels and prints that have been partially destroyed. 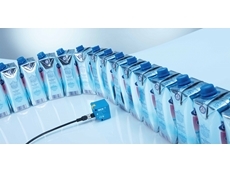 The CLV barcode scanners are also available in a hygienic design if required for applications involving the identification of foodstuffs and beverages within humid and wet areas in packaging and bottling plants. 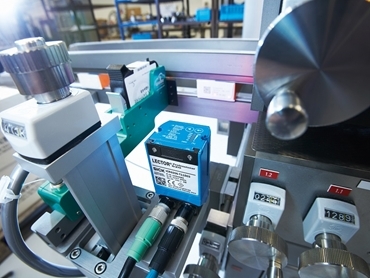 2D codes are a very popular type of labelling for food and drug packaging. They are useful when space is very restricted given that they can hold a lot more information than barcodes. Plus, extremely reliable integrated correction processes eliminate errors when codes are read. The image-based code readers in the Lector620 OCR product family can be relied upon to record barcodes, 2D codes, and plain text information on food packaging, including best-before dates and batch numbers. Another example of their functionality is the option to identify Data Matrix codes on carton blanks in the feed magazines for packaging machines, in order to check that food packaging does actually contain the product it should contain according to the text and images printed onto it. If foodstuffs packaged in folding boxes are put into secondary packaging, the code readers within the Lector650 product family can be used to identify all of the items combined within the container, thereby allowing for full traceability, even for aggregation units of this kind. With the exception of containers that are very large to start with and premium consumer items, product labelling using RFID technology is opening up an increasingly wide range of applications, primarily, as a result of costs dropping and processor technologies becoming more efficient. In this case, an electronic data card, known as a transponder, is attached to an item, a pallet of goods, or a container of raw material. During the logistics process, reading systems such as the RFU620 UHF read/write device read the transponder, which is then written to – that is, updated – based on the process. This reading and writing process also happens to be one of the main advantages of RFID over barcodes and 2D codes. As no visual contact with the transponders is required during the identification process and given that it is possible for reading and writing to be performed simultaneously for several transponders in a group, all items labelled with RFIDs in shipping cartons and then all cartons labelled with RFIDs on a pallet can be recorded in one go. Attaching an RFID label to the pallet would then allow for expensive spirits, for example, to be traced consistently and efficiently. 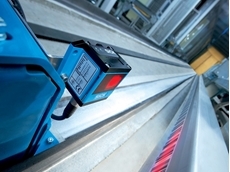 Vision sensors which record 1D barcodes and 2D codes provide additional food for thought when it comes to Industry 4.0. Familiar tasks, such as sorting processes or track-and-trace, are implemented reliably – they are no longer disruptive or even radical innovations. On the other hand, the link to additional data, such as the object history, digital fingerprints, and histogram and attribute data, open up the possibility for trend and variance analyses, which go way beyond the pure identification of components and products. Image processing, therefore, forms a valuable basis for newly conceived applications and services in the context of Industry 4.0 and the Internet of Things (IoT). The combination of image and barcode recognition such as reading a code while simultaneously checking against a stored image ensures that the right product goes into the right package. This rules out the possibility of a product making it onto the shelf with information, such as the best-before date or details required by labelling standards, appearing incorrectly on the packaging. Data is ultimately analysed via the SICK AppSpace eco-system, which is based on the approach of integrating in-house ideas and implementing customer-specific requirements efficiently in the form of customised sensor apps. The platform is split into three areas: Programmable sensors, such as the vision sensors from the Inspector P63x, P64x, and P65x product families, are used as sensor hardware; the SIM4000 Sensor Integration Machine, a high-performance multi-camera and sensor processor for multi-technology image processing, sensor fusion, and data collection in conjunction with the SICK AppStudio module for application development and the SICK AppManager for implementing and managing apps in the field; and lastly, the community of SICK AppSpace Developers Club. This is where developers from SICK and our customers exchange information and define further development steps for the eco-system. Turning a problematic product recall into a positive? SICK offers all of this track-and-trace technology for the food industry from a single source. Extensive experience in the food industry teamed with exceptional expertise when it comes to implementing auto-ID solutions ensures that food products are reliably identified along the entire supply chain. The technology-independent 4Dpro platform from SICK is then added into the mix to manage the (combined) use of barcode scanners, code readers, and RFID systems, and to enable the professional integration of all identification systems into the IT and database landscapes of every party involved in the supply chain. All of these 4Dpro devices have Ethernet on board and are ready for connection, and they can be connected, configured, parameterised, and integrated into fieldbus environments in exactly the same way. 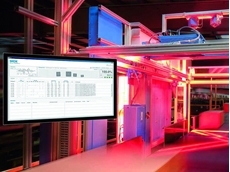 These devices, therefore, offer fully compatible, interconnectable technologies with standardised configuration and user interfaces, fully compatible electrical and mechanical connectivity, and identical fieldbus components. All parties along the supply chain are in a position to address their track-and-trace requirements with these cost-effective and reliable solutions that can be easily integrated and also make for a safe investment. The overall result is a transparent, seamless, and inherently consistent flow of material and data, extending from the producer all the way to the end customer. This provides the conditions required for the right decisions to be made quickly in the event of product recalls, also taking into account a potential estimate of the logistical effort and overall costs involved. Should a critical error arise, the risks can be quickly identified and safely averted. Companies with the capability to minimise the scope of product recalls using a track-and-trace concept of this kind are sure to see a swift return on their investment. Even the possibilities now afforded by innovative identification and integration technology cannot prevent product recalls from happening, but they can seriously limit their negative repercussions regarding reputation, brand image, sales, and costs. Some companies may even seize the concept of product safety through proactive recall management – and turn what was once a challenging problem into a way to give themselves a competitive edge.